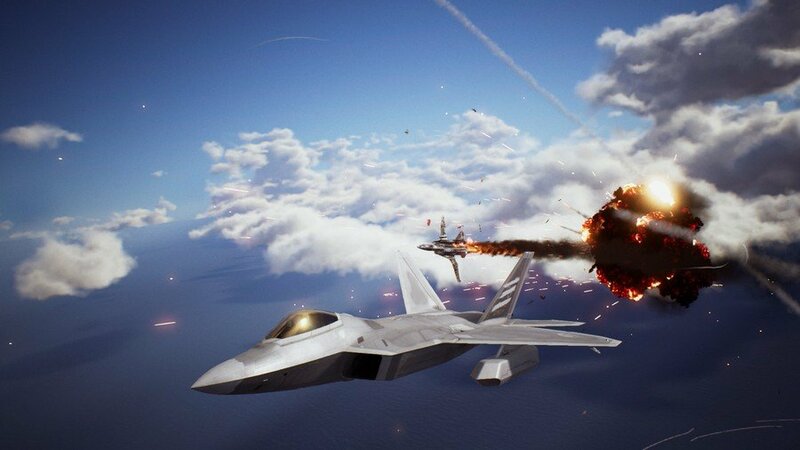 Ace Combat 7: Skies Unknown is finally here, allowing both veteran players and total newcomers to soar through the clouds and blow up some bogeys. This is a series that's been around for quite some time -- despite the name, this is technically the seventeenth game, with the first dating back to 1995. The last few major entries have more or less perfected the flying formula, so the gameplay should feel familiar if you've played an Ace Combat title before. However, newbies might have some questions, whether it's about the action, the story, or something else. In this guide, we'll help you go from being a lowly nugget to an ace pilot in no time. Standard vs. Expert Handling - what's the difference, and how do you change it? What are the best planes in Ace Combat 7? 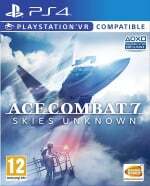 Ace Combat 7: Skies Unknown - do you need to have played previous games to get the story? Can you play the whole game in PSVR? What can you do in Ace Combat 7 PSVR? Below, we'll go through some of the basics of Ace Combat 7. The controls are fairly straightforward in Ace Combat 7. Though almost every button on your controller has a function, it's laid out smartly to ensure the commands you'll use the most are the easiest to pull off. The left stick is used to do the majority of movement in your aircraft. Depending on which handling method you choose - more on that below - you'll be able to control your plane's pitch (up and down) and roll (left and right) to navigate each level. L1 and R1 control yaw, and move the whole vehicle left or right, similarly to strafing. This is useful for fine tuning your flight path or squaring up on targets. The right stick, meanwhile, relates to the camera, as usual. Swing it about to get a good view around your aircraft. If you click in R3, you'll switch to an interior view. There are three view settings to choose from. The triggers act as you'd expect -- R2 controls your thrusters, while L2 acts as your brake. If you hold both down together and turn, you'll perform a high-G turn -- more on that below. An important command to remember: if you're having a tough time escaping from a missile, press L3 and R3 together to release chaff and flares behind your plane. Doing so will throw off the missile and keep you safe. The circle button is your best friend. This is your main attack button, firing either your standard missiles or your equipped special weapon. You switch between the two by pressing square. The X button fires your machine gun, which can come in handy when you're close to your enemy. It can be fiddly to line up a shot, but it's surprisingly powerful. Pressing triangle swaps between targets, while holding it down will shift the camera so your target is on screen. Your current target will flash on your radar as well as the main heads up display, and you'll even get a handy arrow pointing you towards it. When a target is within range of your homing missiles, its indicator will turn red. If you press in the touch pad, it'll expand the view of your radar, zooming out to show you more of the current map. There are three of these settings for the radar, but the default view will serve you just fine in most cases. There are two control types in Ace Combat 7 -- standard and expert. Both methods relate to how the left stick controls your plane when you push it left or right. The standard handling will turn your plane in a more familiar way; pushing left and right on the stick will turn your plane left and right. Expert handling gives you more precise control. Pushing left and right on the stick will roll the plane instead of turning it, meaning you'll need to control this in conjunction with the vehicle's pitch (up and down movements) to make turns. To switch between the two control types, you can either change the setting from the main menu or within the pause menu. On the main menu, go to Options > Flight System, and toggle between standard or expert. In the pause menu, go to Flight Option > Flight System > Control Type, and make your selection. High-G turns are manoeuvres which allow you to make much tighter turns than usual. The way to do it is to hold down both triggers and push the left stick in the desired direction. Performing this move has its advantages and disadvantages -- it's great when dogfighting, and you need to turn quickly to line up a shot against your opponent. However, high-G turns will dramatically decrease your speed. Holding one for too long will see your plane stall, which will throw you off your path and could potentially cause you to crash. If you're able to make effective use of this manoeuvre, you should have little trouble with enemy planes. Where clouds in previous Ace Combat games have been purely visual, the volumetric clouds in AC7 are the real deal, and even have their own gameplay implications. You can use clouds as a form of cover, hiding from enemy fire. However, passing through them will result in water droplets forming on your canopy, reducing visibility. If you linger in the vapours for too long, this water will start to freeze, which will really play havoc with your ability to fly effectively. They can also screw with the homing range of your missiles, and in thunderstorms, lightning strikes can disable your instruments, meaning your HUD will get all messed up for a while. Be careful when you're out flying in poor conditions, pilot. Dogfighting is a term given to when two fighters are attempting to get the other in their line of sight to make a clear shot. You'll be doing a lot of this in Ace Combat 7; dancing and corkscrewing your way to a kill is part and parcel of the game's action. Gaining the upper hand isn't too tricky, but you'll need to be aware of a few elements. Perhaps the most important is the direction in which the enemy is facing. You can see the orientation of an enemy fighter on your radar in the bottom left corner -- they look like little arrowheads. Wherever it's pointing, that's where it's heading. Your best shot at a hit is when the enemy plane is directly ahead and flying away from you. Your missiles may have homing capabilities, but they're not miracle workers. The straighter the shot, the better. If the enemy is flying straight towards you, it can be risky to take a shot as they'll zoom past you before your missiles can land. It might sound obvious, but the best thing to do, at least for new players, is to follow the arrow on your HUD. Ideally, you want the enemy in the centre of your view, and that's the simplest way to make that happen. Some clever navigation might be faster, but until you've mastered the controls, follow your arrow. You're only locked onto an enemy when the indicator around them is red. Try not to waste your missiles. When close enough, a reticle for your machine gun will appear on your screen. It may be wildly off centre, but that's because it's compensating relative to the enemy's trajectory. Line up this reticle with the target to deliver some quick damage. Use high-G turns to quickly change your path and get the drop on enemies. Most enemy aircraft can be taken down with two standard missiles. If you have a good shot, double tap circle to send both of your loaded missiles out together for an immediate kill. Completing missions will earn you MRP, an in-game currency you can use to unlock parts, special weapons, and new planes to use in both the campaign and online multiplayer. It may look intimidating, as there are a lot of options and diverging paths, but it's not a big deal. Don't worry about trying to unlock all the planes as you play through the story. The later planes are the better ones, of course, but the earlier aircraft will be more than enough to see you through. It's definitely worth buying new parts, as not only do they further the tree, they allow you to buff the stats of your owned planes. Some will improve mobility, while others have more obvious effects, like increasing the number of missiles your plane can carry. Buying special weapons for each plane makes them more versatile too, so be sure to check out their options as well. Aircraft parts form the majority of the aforementioned aircraft tree, and they're used to enhance your collection of planes. You can put any parts on any number of vehicles, so it's well worth experimenting with them. You can equip up to eight parts on an aircraft. They're divided into three categories -- Body, Arms, and Misc. Parts in the Body category relate to a plane's stats, such as speed or defence. Arms parts enhance your weaponry, and the Misc category is for, well, anything else. Each of the planes in Ace Combat 7 fall into one of three categories: fighter, multirole, or attacker. Fighter planes tend to emphasise speed and are most effective in air-to-air combat. Attackers, meanwhile, are usually much stronger, with generally higher defence but less manoeuvrability in the air. They're most effective against ground based targets. Multirole planes, as you might've guessed, fall somewhere in the middle. Generally speaking, the best planes in the game are much further along the aircraft tree. You'll probably finish the campaign about half way through the tree, but there's nothing stopping you using your more advanced vehicles to start a new run of the story. You'll naturally get better scores in missions with better planes, giving you lots more MRP to spend on the tree. The best plane in the game in terms of stats is the X-02S Strike Wyvern, but it'll take you a while to unlock it. The best planes for each mission depend on the objectives -- pay attention to the briefing beforehand. If you'll be facing lots of ground targets, for example, take your finest Attacker or Multirole plane. The short answer is no. Each Ace Combat game has a self-contained story, but they all fall somewhere along the same timeline. The games are set in a fictional world named Strangereal, and almost all the game's scenarios revolve around a large-scale war or some other conflict. 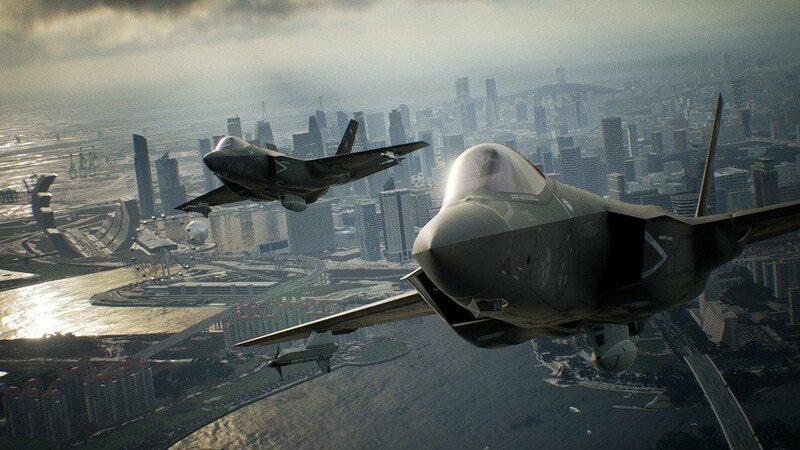 If you have played some of the previous games, you might recognise some characters, locations, or other references within Ace Combat 7's story, but it isn't necessary in order to enjoy it. Ace Combat 7 is the first title in the series to benefit from virtual reality support, thanks to PlayStation VR. Here's all you need to know about this mode. 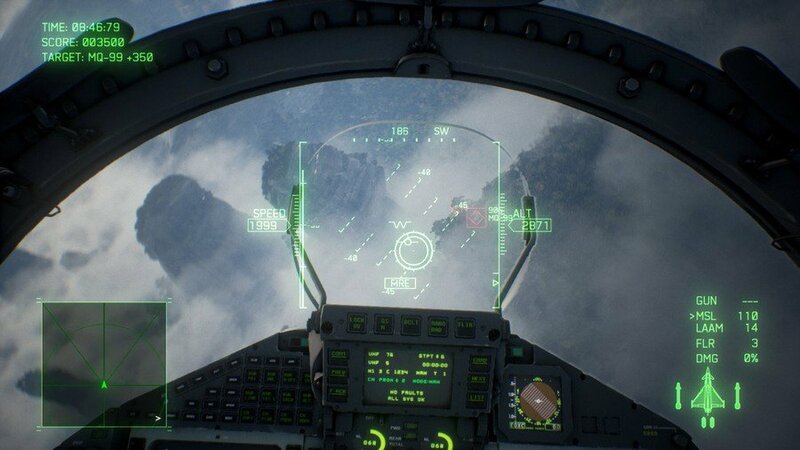 Getting the VR mode started in Ace Combat 7 is easy. Ensure your headset is plugged in and turned on. From the main menu, navigate down to VR and press X. If you haven't already, put your PSVR headset on, get comfortable, and prepare for takeoff. No. Unfortunately, you can't play the main game's campaign in VR. The virtual reality offering is a separate mode with its own features. 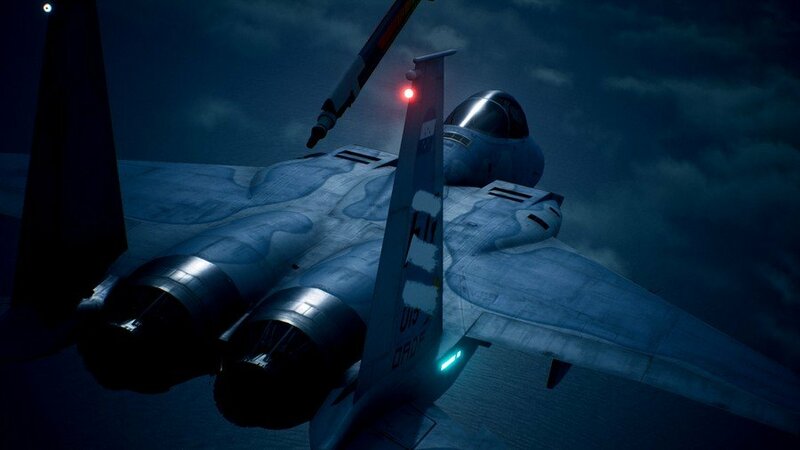 The main attraction in Ace Combat 7's PSVR support is a small selection of missions. These play out very similarly to missions in the regular campaign mode, only from a first person perspective inside the cockpit of your fighter jet. There are three missions to partake in. Once you've completed these missions, you'll be able to select Free Flight mode, in which you can fly around each of the environments peacefully, with no time limit or enemies to worry about. Completing the missions also unlocks Air Display mode. This places you aboard an aircraft carrier, where you can select some planes to perform aerial manoeuvres as they fly by. It's simply a visual experience, but it's pretty cool nonetheless. 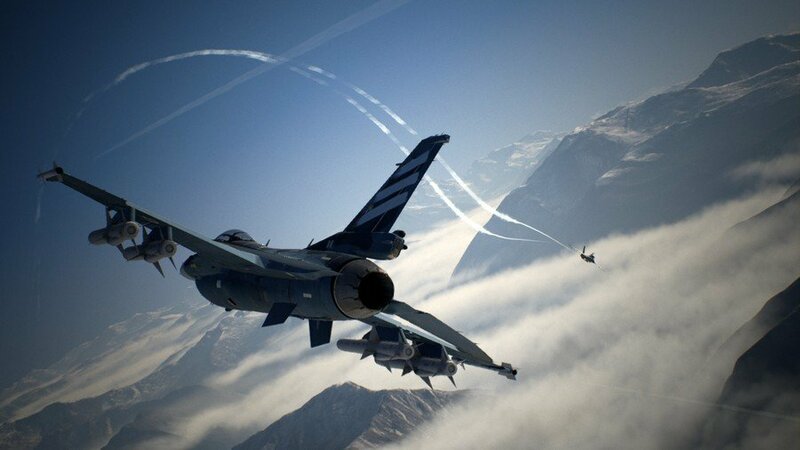 Do you have any other burning questions regarding Ace Combat 7: Skies Unknown? Go supersonic in the comments below. Throw some post-stall maneuvers to help folks out in mp though.